Tom Votel, President of Tenacious Holdings, Inc. (d/b/a Ergodyne) threw down the gauntlet yesterday against the Wells Lamont Glove company in a lawsuit claiming infringement on his glove design patent. The lawsuit (Case 0:2012cv00893) filed in Minnesota on April 10th, seeks damages against Wells Lamont for claims that they infringe on a US Patent design patent #D/388,514. This patent, filed in 2009, was issued to Votel (listed as the inventor) on February 2, 2010 and assigned to Tenacious Holdings. 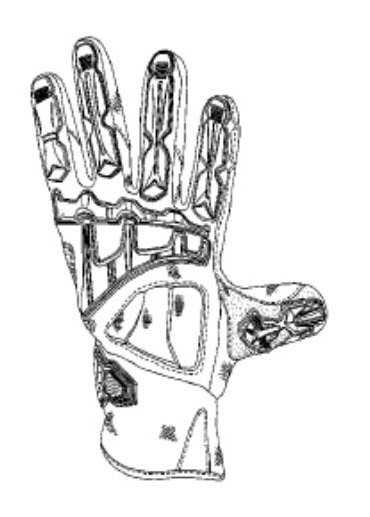 As a glove patent owner myself on several glove utility (field of use) patents, a glove design (appearance) patent for a work glove is rather unique and interesting. As a matter of fact, in the last two decades I’ve only been associated with one (1) design glove patent and that was for a consumer novelty glove. It’s not uncommon for glove companies to copy another’s work glove and I can only assume Mr. Votel and his company became very tired of these glove industry shenanigans. I like the Wells Lamont Glove Company and I like the Ergodyne Company but I’m a glove designer and maker. So, I’ll watch this case closely. Let’s see who will be the most tenacious.